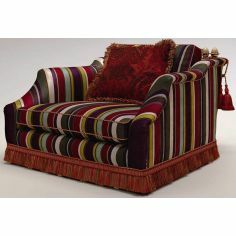 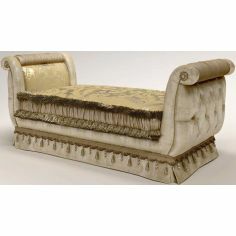 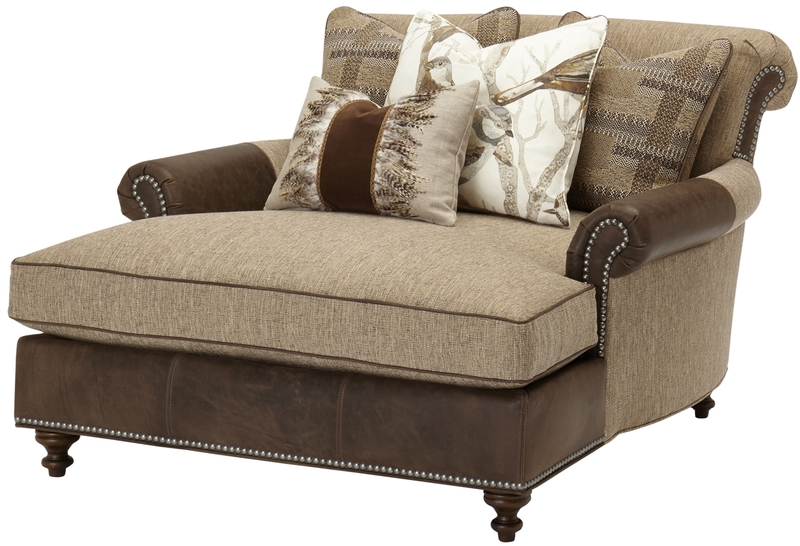 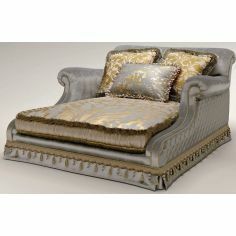 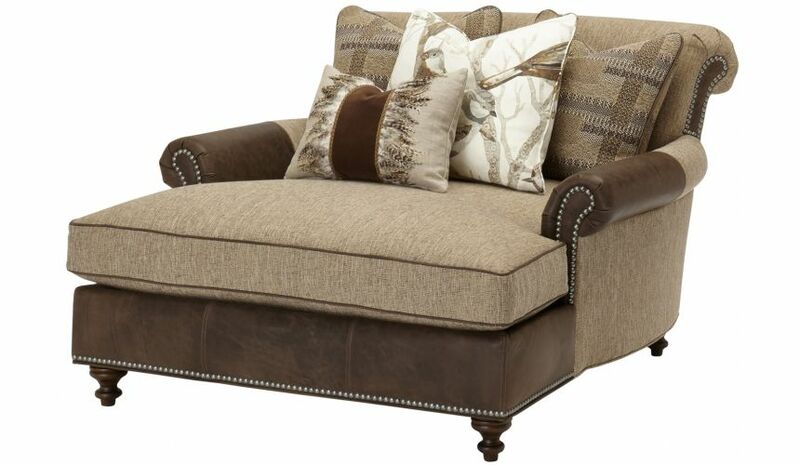 Comes with extended cushioned seat, this large double chair chaise keeps you in luxury for long. 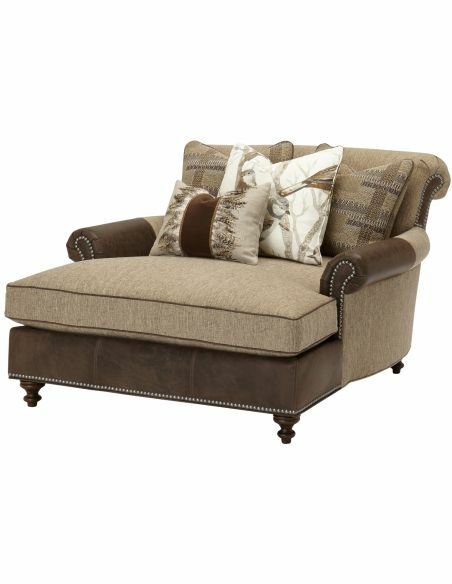 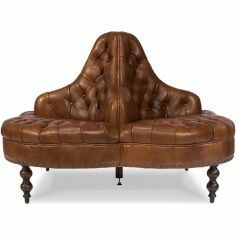 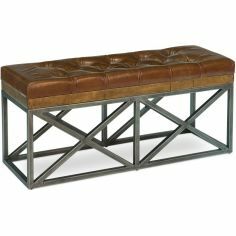 Made up of solid wood, this cushioned sofa is draped with textured leather material that adds beauty to this furniture. 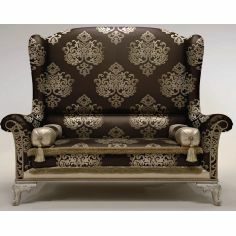 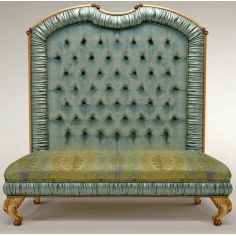 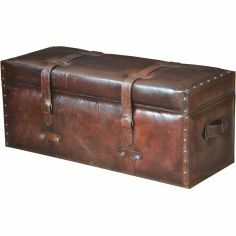 Also, the clean lines and nail head accents uplifts the charm of this robust piece of furniture.